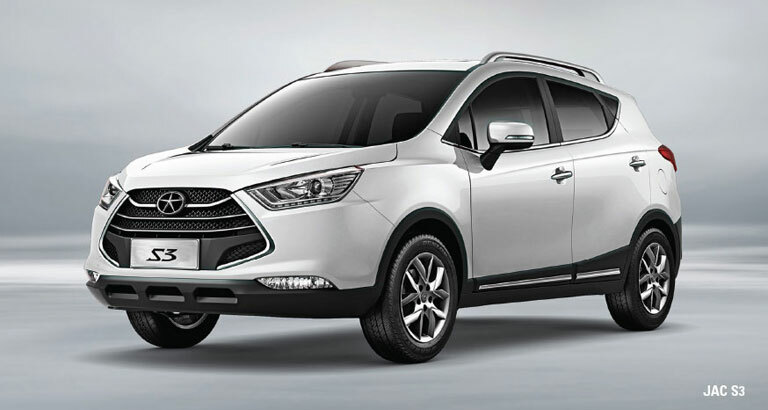 Bahrain Commercial Services, the Kingdom’s JAC Motors dealer, has launched a new model in its passenger SUV segment. The S3 is JAC’s newest second-generation passenger car and it is quickly becoming a firm favourite with young, urban drivers. It is loaded with features, including: a sunroof, alloy wheels, a seven-inch display screen, reverse cameras, leather seats with contrast trim, steering mounted cruise control, Bluetooth, and volume controls. It is equipped with PM2.5 dust filtration systems and the in-car air meets volatile organic compounds standards. PM2.5 refers to atmospheric particulate matter that have a diameter less than 2.5 micrometres, which is about three per cent the diameter of a human hair. Particles in this category are so small that they can only be detected with an electron microscope. The S3 has a rich look thanks to generous amounts of chrome on the front, rear, and along the side trim across the windows. The front end has a bottle-mouth design and blended electroplating decoration. The LED daytime running headlights are tastefully designed and help with visibility at night too. As for the interior, the S3 is very stylish thanks to a black and chrome colour scheme. The centre console is easy to control and its silver decoration strip enhances the overall look of the vehicle. The steering wheel is wrapped with leather and is equipped with multi-function buttons to adjust multimedia and cruise control systems. JAC S3 is equipped with a high-performance 1.6-litre CVT engine, which offers ample power and improves fuel economy while reducing the carbon output. It boasts 118bhp and 146Nm of torque and, impressively, only uses 5.9-litres per 100km. The vehicle is equipped with a number of features to improve performance and keep occupants safe. Some of the highlights include electronic stability control system, electronic power advanced steering, hill-start assist control, six airbags, pre-tightening seatbelts, automatic tyre pressure monitoring, ABS brakes, and a cruise control system. This Ramadan, JAC S3 is available for BD4,995, including a five-year or 100,000km warranty and three years or 100,000kms service package, insurance, registration, rust proofing, window tinting, roadside assistance and a buy back guarantee. The JAC Motors showroom is located at Segaya Plaza, Zinj.